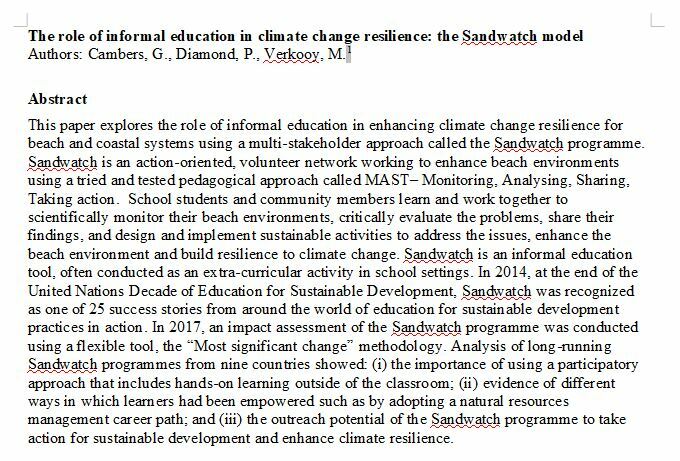 April 12-13th, 2019: Sandwatch Co-Director Dr. Gillian Cambers and Michelle Verkooy were invited to give a presentation entitled “The Role of Informal Education in Climate Change Resilience: The Sandwatch Model”(authors: Cambers, G., Diamond, P., Verkooy, M) at the International Symposium on Climate Change and the Role of Education at Bishop Grosseteste University, Lincoln, England. 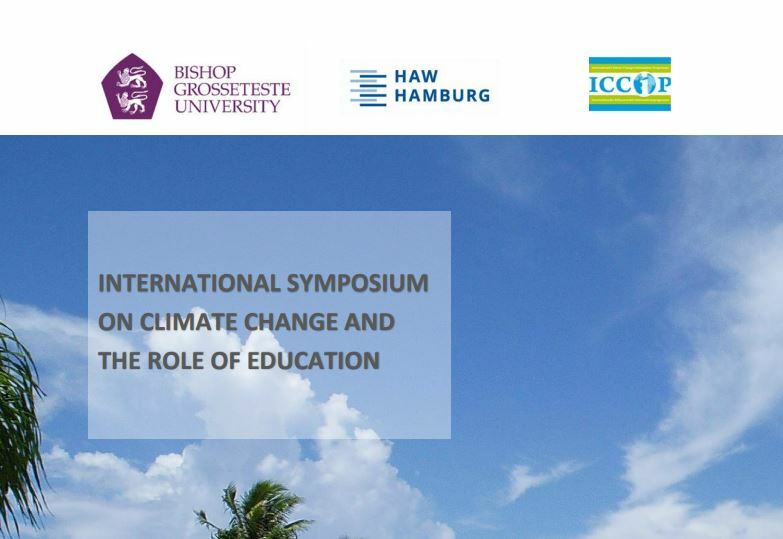 ​Please click on the three (3) links below to a) View the entire paper as presented b) A copy of the PowerPoint presentation c) A copy of Symposium's official program. How to link in other groups from all over the world which might be interested in SW using social media. Discussion on student climate change protests and walkouts which started August 2018 in Sweden. Using the SW MAST methodology in other environments besides the beach. How the SW Foundation connects groups and puts them in touch with each other so that they can then arrange exchanges.